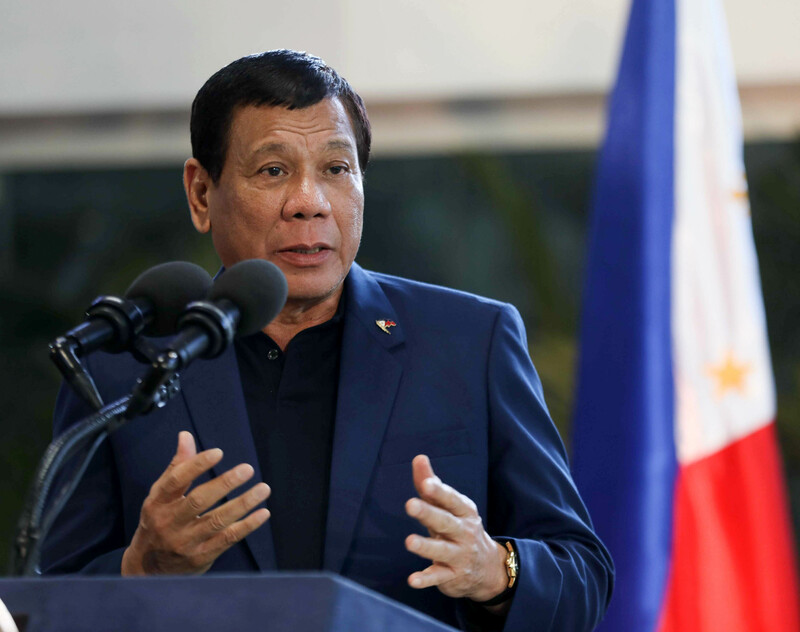 MANILA, May 25 (Mabuhay) — Public satisfaction with President Rodrigo Duterte’s administration remained “very good” in the first quarter of 2017, according to the latest Social Weather Stations (SWS) survey released on Wednesday. The SWS said of the 1,200 adults surveyed, 75 percent were satisfied with the national government while 9 percent were dissatisfied and remaining 16 percent were undecided. The results, which were first published on BusinessWorld, gave the Duterte administration a net satisfaction rating of +66, up by 5 points from the fourth quarter 2016 SWS survey result of +61 (73 percent satisfied, 12 percent dissatisfied). The survey was conducted from March 25 to 28 via face-to-face interviews. It had sampling error margins of ±3 points for national percentages, ±4 points for “Balance Luzon” and ±6 points each for Metro Manila, Visayas, and Mindanao. The Duterte administration received a “very good” rating in only one subject out of 15 performance issues which comprise a Governance Report Card. Last year, it got 6 subjects with a “very good” score. It retained its “very good” rating in “helping the poor.” However it was down by three points from the +66 score in the December survey. Both “foreign relations” and “reconciliation with Muslim rebels” has remained unchanged from the preceding quarter. The SWS, meanwhile, said that it had included traffic woes in its government report card for the first time. The survey firm said that the satisfaction rating in Duterte administration’s bailiwick also remained “excellent” with +79, up by one point from December’s +78. Satisfaction with the administration stayed “very good” in Visayas at +67 which is nine points up from December’s +58. Metro Manila had +62, up by nine points from the preceding survey score of +53, and Balance Luzon with +60, up by four points from +56 in 2016’s final quarter. The survey firm said the Duterte administration’s satisfaction rating from the “masa” or Class D has received +66, up by five points from December’s +61. The administration’s net satisfaction scores across socioeconomic classes also stayed very good: +69 for Class E (up by seven points from December’s +62) and +61 for Class ABC (up by six points from December’s +55).